The famously terrible Plan 9 From Outer Space runs at the Hill Center tonight. Happy National Absurdity Day. While it seems we celebrate that nearly every day here is the Nation’s Capitol today is the day to pay homage to the notion. The Hill Center honors the absurd tonight with an homage to Ed Wood, who has the dual distinction of being known as Hollywood’s worst director as well as having been portrayed by Johnny Depp in a biopic. 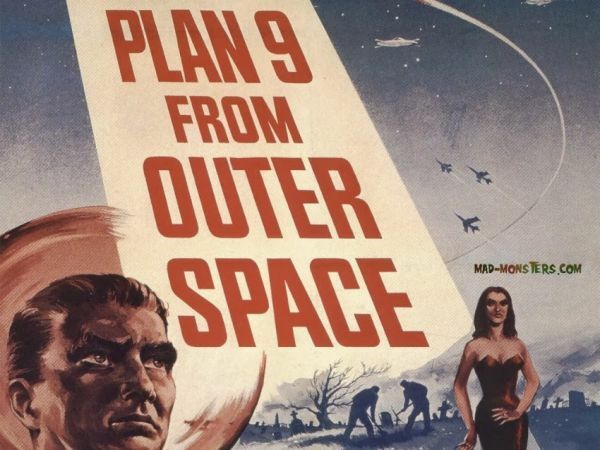 New Yorker writer Margaret Talbot, whose father Lyle appeared in a number of Wood films, will discuss Wood’s works along with film critic Neil Minow before a screening of the terrible Plan 9 from Outer space. WAMU’s Rebecca Sheir will read from Wood’s novel Killer in Drag. The screening is free and begins at 7pm. Register here. Friday night the Oklahoma Society hosts a Barn Dance in the North Hall of Eastern market at 7pm. $20 (free for OK SOciety members) gets you food, drink, music and line dance lessons. Saturday night Ethiopian musician Hailu Mergia appears at the Atlas with his band Low Mentality. Tickets are $28.50 in advance and $32 at the door. Sunday afternoon at 4pm the Capitol City Symphony presents its annual family concert. This year they present a semi-staged version of the Humperdinck opera, Hansel and Gretl. Bring the kiddos by early for a pre-concert instrument petting zoo. Tickets are $25 for adults and kids are free.